Why support the Central Indiana IIBA chapter? 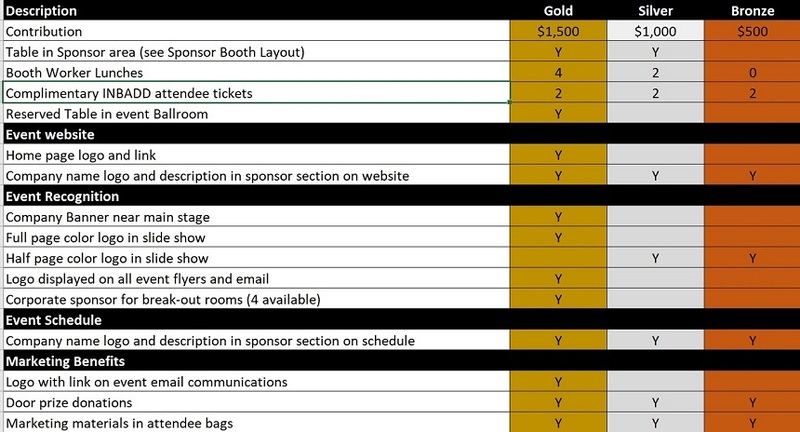 When you become an INBADD event sponsor, you will gain valuable advertising benefits along with contacts and networking opportunities by having a sponsor table at the event – Gold and Silver levels only. You will also show event attendees that your organization is dedicated to the support of the Business Analysis workforce. We offer multiple pricing levels for sponsor opportunities, with each level offering a wide selection of benefits. To become a sponsor of the Indiana Business Analyst Development Day (INBADD), please send an e-mail with your desired sponsor level to INBADDSponsors@central-indiana.iiba.org. On behalf of the INBADD committee, we would like to personally thank you for considering this great opportunity.